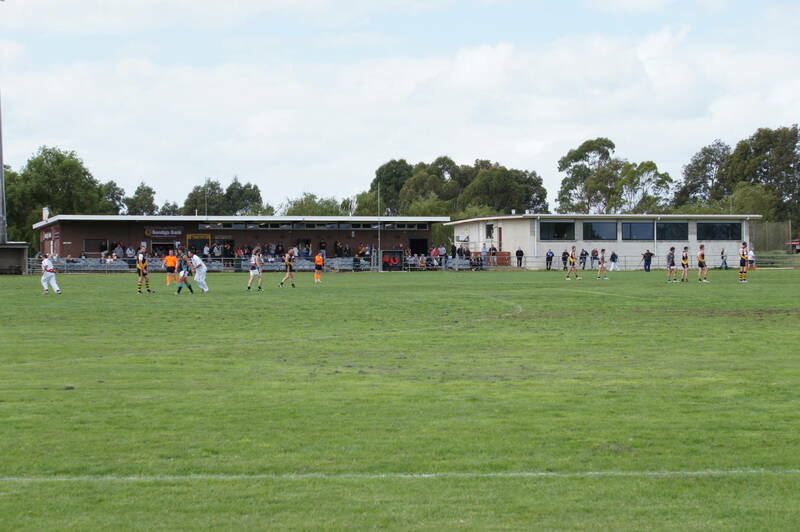 The Lang Lang Football Club first came to my attention in 2001 when an article in the Herald Sun reported that the Tigers were due to play in a grand final against Buln Buln and were hoping to break a 73 year premiership drought. On a whim, I headed down to Darnum that weekend to watch the match. 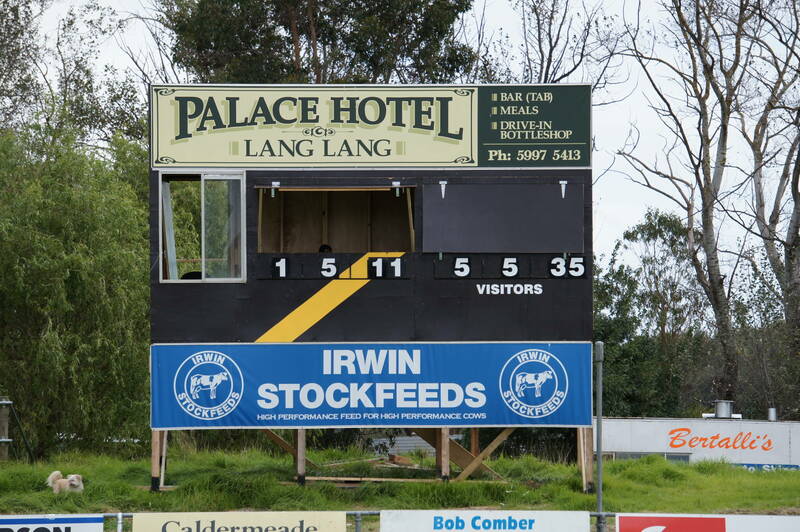 Buln Buln won fairly easily (18.18 to 10.7), and Lang Lang’s 1928 flag remains the club’s last senior premiership. Or was it? The club also holds a 1936 Korumburra-Lang Lang Football League premiership. 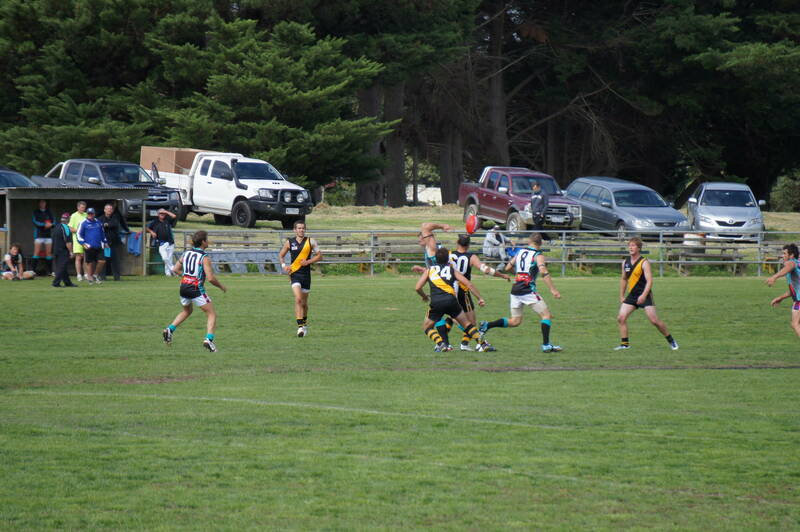 Lang lang 9-9 def Leongatha 9-6. 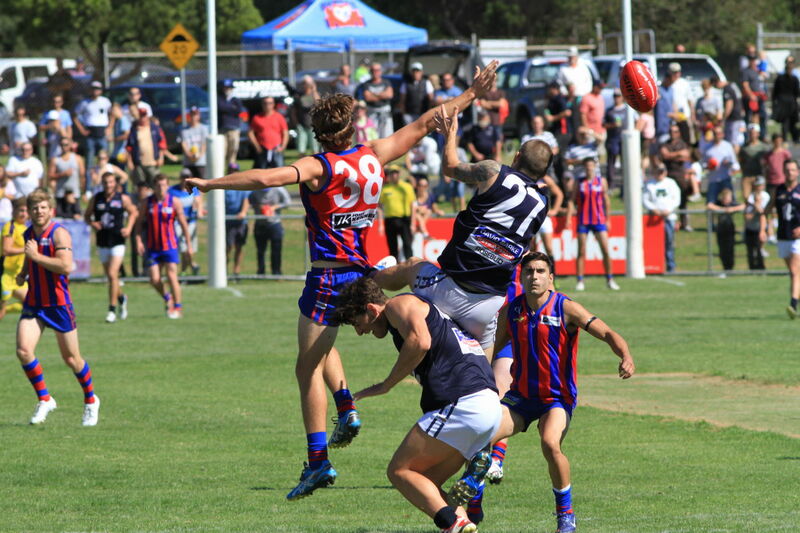 The Tigers would be long odds to win the 2014 premiership, but the club has made a good start to the season by winning two of its first three games. 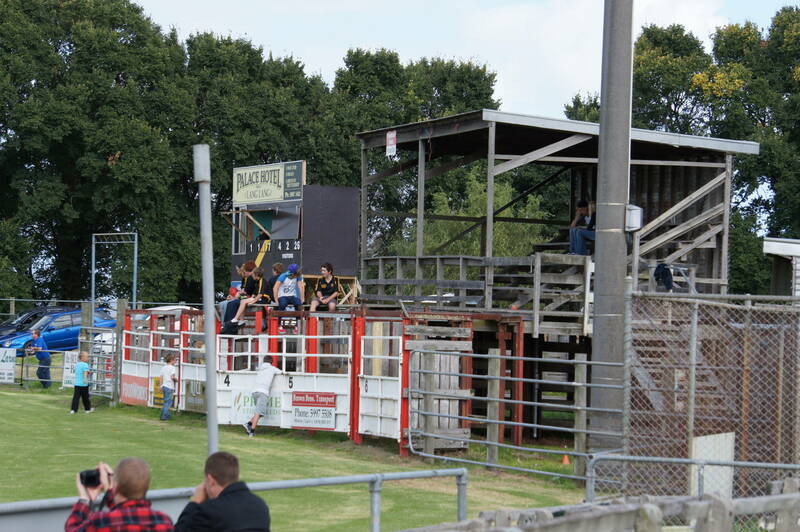 The stock pens, the rickety wooden stand, and the scoreboard lend a certain charm to the Lang Lang Showgrounds. I like the three teenagers disregarding the ‘Keep Out’ sign. These pictures were taken at the start of the 2012 season. 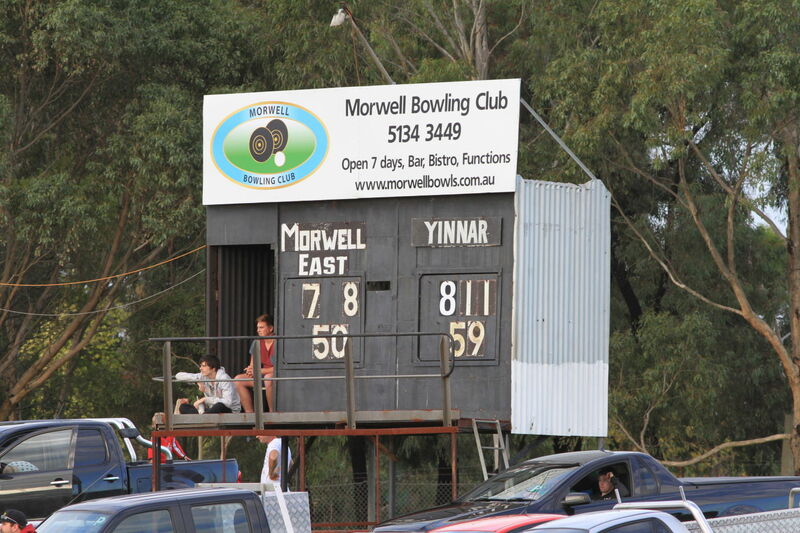 The home side lost to Cora Lynn that day, 5.12 to 10.12. Now, here is a fine looking scoreboard. 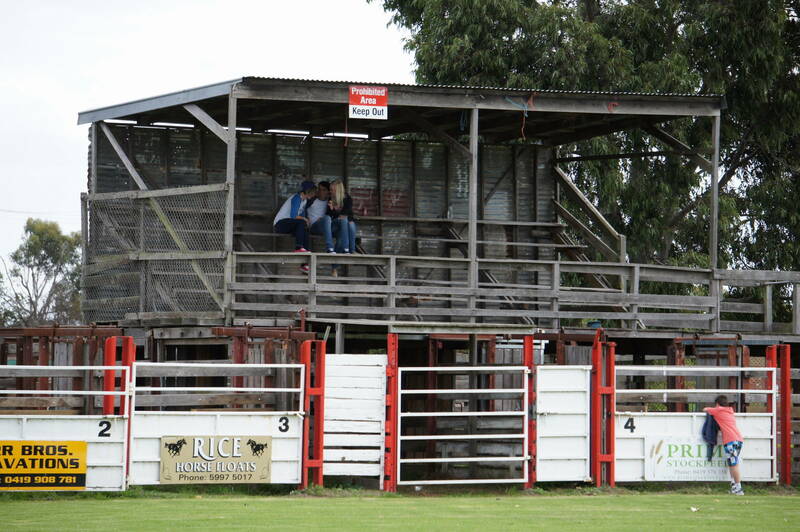 It is at Ronald Reserve, the home ground of the Morwell East Football Club. 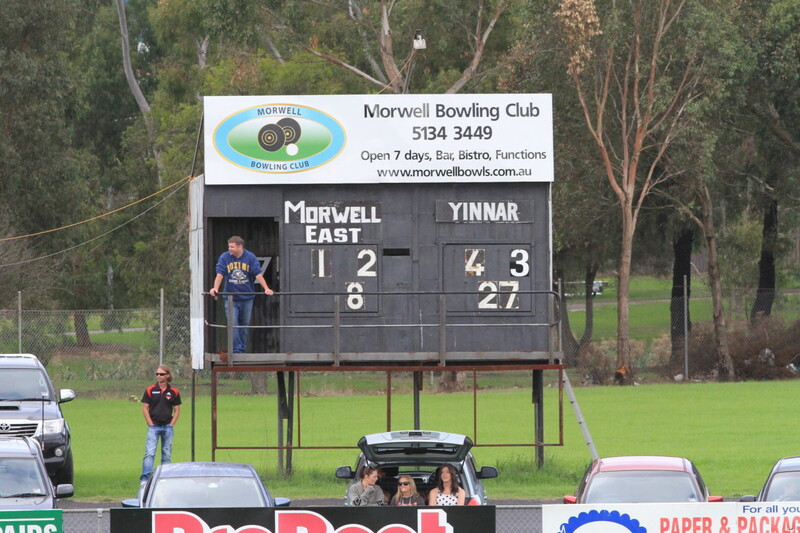 The East put up a good show against the powerful Yinnar last Sunday before going down by 41 points, 7.8 to 13.13. 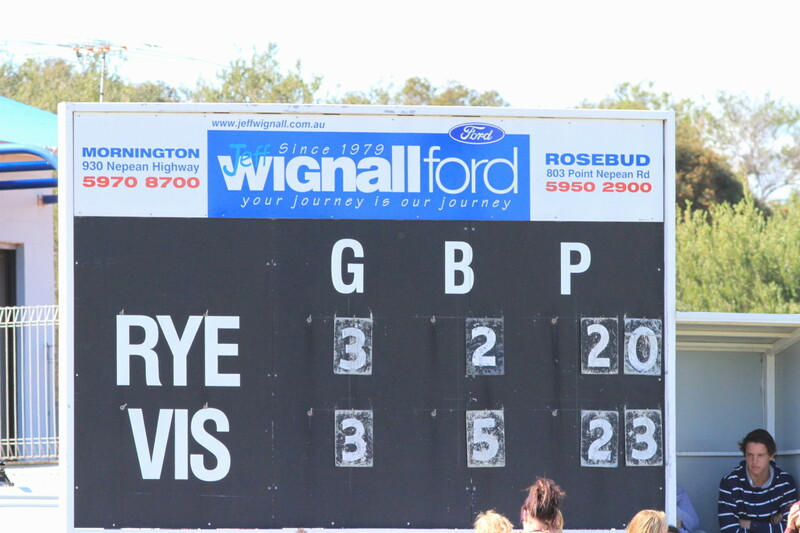 In contrast to the two boards above, the scoreboard at Rye is of the simplest design. 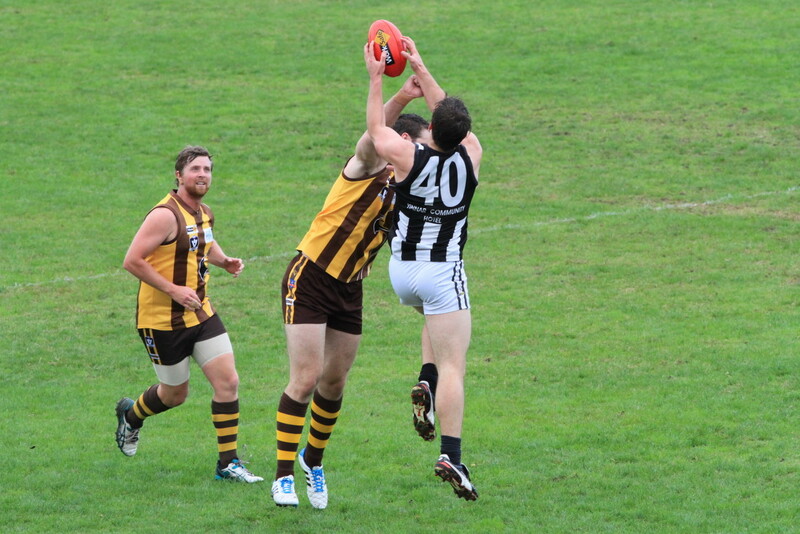 The two pictures were taken at Rye’s big Easter match against Rosebud in 2013. Rosebud ended up winning this one, 15.15 to 8.8.